Restrictions apply. See claim form for details. We're here all day, every day to answer your questions. Whether driving across town or across the country, you want a ride that’s as comfortable as it is precise. The Turanza QuietTrack is the tire for you. The in-groove ridges help dampen road noise, while delivering control in wet and snowy conditions. And it’s built to last, with performance designed to go for 80,000 miles*. * Certain conditions and limitations apply. Click Here for details. Both underinflation and overinflation can cause headaches like premature treadwear and possible tire failure. The best way to ensure you're getting the most out of your tires is to check your tire pressure regularly. We'll show you. Clutch Performance is more than a split-second decision. It’s about making the right play when it matters most. Like Bridgestone Tires, Brad Marchand embraces the pressure when the game is on the line. clickable image of My TPMS Light Came On - What Does it Mean? My TPMS Light Came On - What Does it Mean? The TPMS warning light will help warn you when your tire pressure is too low and could create unsafe driving conditions. Do you know what to do next? Heavily worn tread will prevent a tire from performing as designed and can lead to unsafe driving conditions. 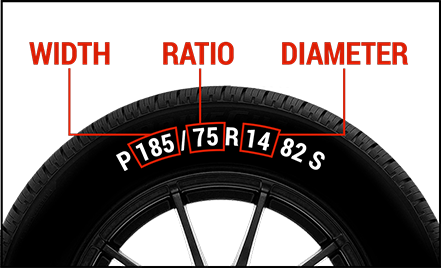 One of the simplest, most common ways to check tread depth requires nothing more than a penny and a few moments of your time. As tires are used, the tread gradually becomes shallower, impacting overall tire performance. But tires don't all wear the same; here's what you should know about what causes tire wear.